Superdry men’s Expedition zip hoodie. This heavyweight zip hoodie features a super soft lined hood and body with an inner ribbed collar. The Expedition zip hoodie has a zip fastening, two zipped front pockets and thumbholes in the cuffs. 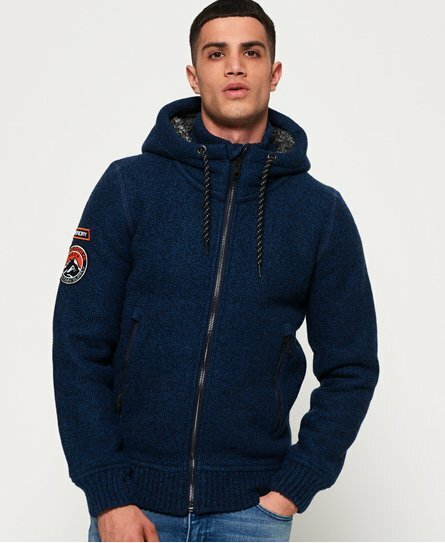 Completed with a Superdry logo badges on one sleeve and an embroidered Superdry logo on the shoulder, this zip hoodie is a great transitional piece this season.